Round Point Shovel Jackson J250 Contractor L.H. 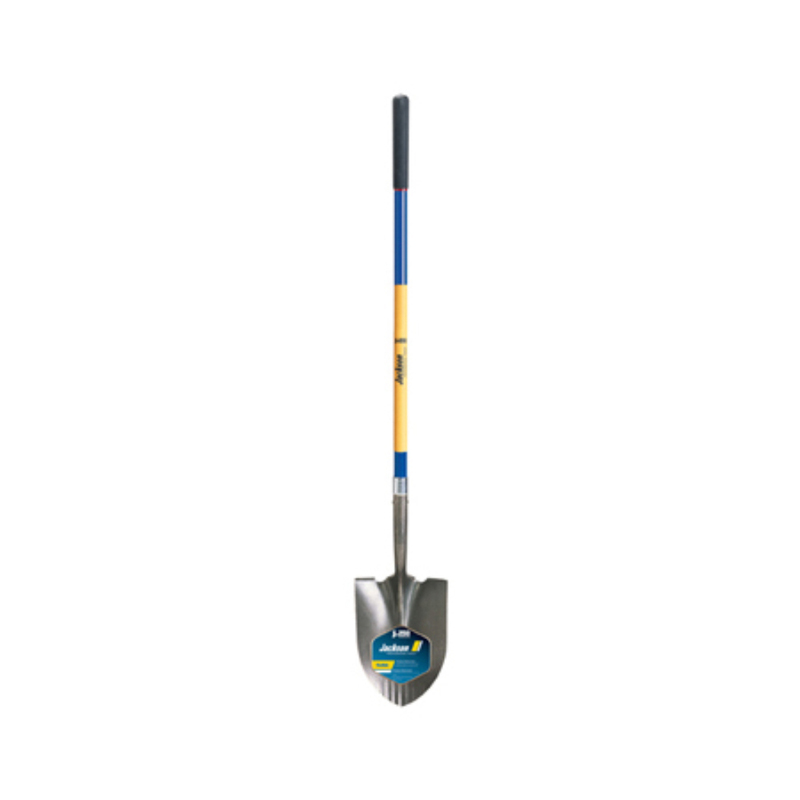 Round Point Shovel Jackson J250 Contractor L.H. contractor-grade long-handle round point shovel has a 48″ L heavy-duty contractor grade fiberglass handle that is stronger than wood. Large steel collar for added strength. It has an extra-thick 14-gauge steel blade for maximum toughness, a serrated blade for easy soil penetration and a dual durometer grip inside poly sleeve provides barrier between handle and grip. On the outside, it has a soft cushioned grip that provides added comfort and control. Its safety sleeve helps prevent splintering. It has an extra thick 14-gauge steel blade for maximum toughness. Blade size: 8-3/4″ x 11-3/4″ L.
Metropolitan Wholesale is New Jersey and the New York Tri-State areas one stop source for Round Point Shovel Jackson J250 Contractor L.H. all things garden related at wholesale prices. We carry a full selection of wholesale statuary, fountains, tools, cut flowers, planters and pottery, tropical plants, annuals, perennials, seeds and much more. We specialize in wholesale plants and cut flowers for fund raisers, school sales, church sales holidays and special events.